Enter the PVP Arena, ditch subscriptions and play the game in Russian. Sometimes, it's the little things. Gameloft wants you to know that the much talked about update for its World of Warcraft-inspired MMO, Order & Chaos Online, is now live on the App Store. So why is this a big deal? It starts with the removal of subscriptions entirely. From there, we have the PVP Arena, complete with online leaderboards. 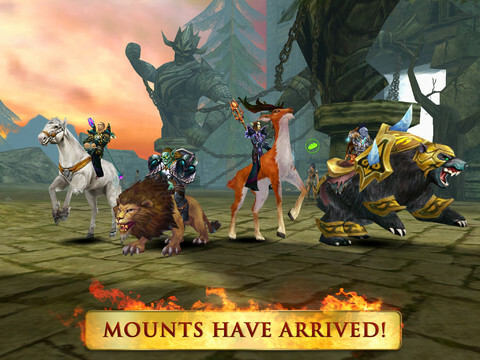 On top of that, the game has new mounts (lions, stags, bears) and new areas to explore. On that note, here's the complete list of goodies.